Kim Kardashian and Kanye West had been "fighting" ahead of West's sudden hospitalization, sources tell Us Weekly. Things haven't been the same for the couple since Kardashian's terrifying robbery at gunpoint in Paris on Oct. 3, and insiders close to the pair say that "it's just been hell for them" trying to recover from the trauma of the incident. While Kardashian retreated from the spotlight and stayed home with her children North and Saint, West returned to his Saint Pablo Tour and continued traveling the country. Their constant separation reportedly left Kardashian feeling a lack of support from her husband. "She felt like now she needed him to be stable and her rock instead of the other way around," a source told Us. "Kanye's so used to getting Kim's constant support and coding, but it's always about Kanye." When he was home, though, West was erratic, reportedly "up all night ranting about things" and "completely freaked out" following Kim's brush with death. "The mere thought of his wife being taken from him was too much," another source said. "It was like his mother's death. Seeing Kim close to death did a major number on him. It sent him into a tailspin." That downward spiral included a slew of incidents at his subsequent tour stops, including storming off stage, ending concerts early, slamming fellow celebrities and, perhaps most notably, saying that he didn't vote in the 2016 presidential election -- but, if he had, he would've voted for Donald Trump. These incidents allegedly made West "impossible to live with," which led to their fighting. 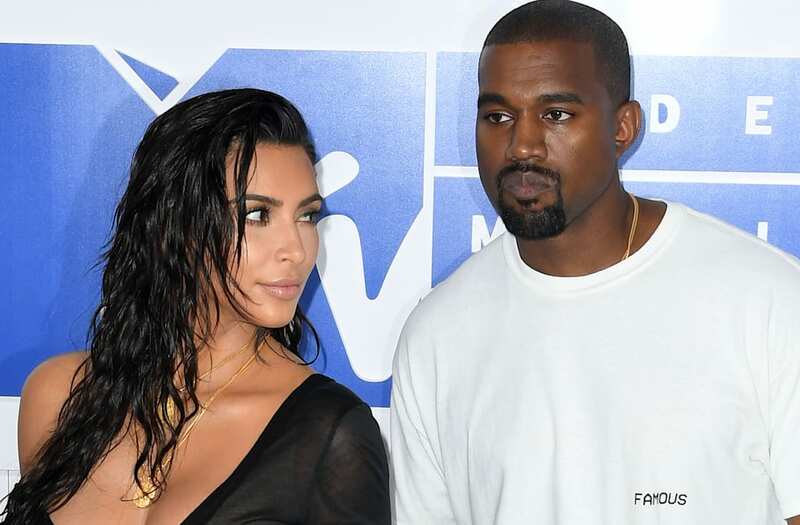 "Kanye's behavior took a huge toll on their marriage," an insider revealed. "But Kim feels relieved he is getting the help he needs. She thinks this is what it will take to save him -- and help their marriage." In recent days, reports have surfaced that West, still undiagnosed, will remain hospitalized until further notice to keep him under watch. Kardashian had been slated to make her first official public appearance since the robbery at last week's Angel Ball in NYC, but she returned home when she found out West had been admitted to the UCLA Medical Center.